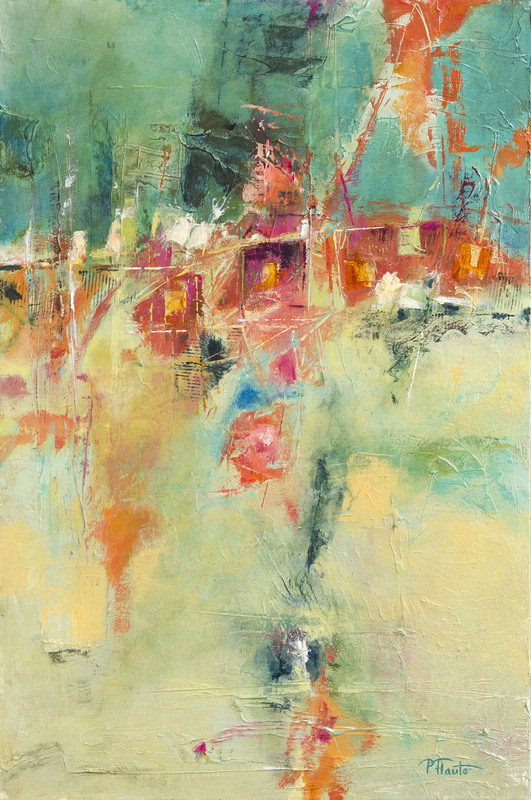 TINA ELKINS & PATTY FLAUTO: INTUITIONS – There is a long, close relationship between landscape and abstraction in modern painting. Landscape can be simultaneously intellectual and formal as well as intuitive and emotional. Land, sky, and water all lend themselves easily to the visual language of abstraction whether through a systematic exploration of composition, or an emotional expression of color and surface. Tina Elkins and Patty Flauto use landscape as a metaphor for other ideas. EMERGING ARTISTS DAVON BRANTLEY, AMIRAH CUNNINGHAM, MEGAN MCNAMARA: WHOA – Three graduates of the Cleveland Institute of Art present a culmination of their B.F.A. thesis work. These works share a theme of mediation on internal conflict due to external influences from our society. This is accomplished through a fusion of color psychology with modes of self-representation, both abstractly and illustratively.